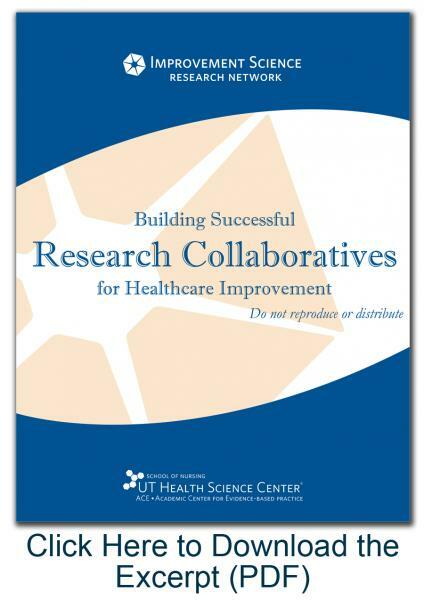 evidence-based guide based on best practices for research collaboration in investigative teams. Transdisciplinary collaboration is essential in improvement science because the study of improvement in complex adaptive systems goes beyond the realm of a single investigator. The topics presented in this guide are drawn from the science of Team Science and extended to collaborative research. Evidence shows that team-based science generates better results, including increased innovation and advances in knowledge. This guide will build your investigative team’s capacity for collaboration and ensure successful work in team-based improvement research. The processes and tools in Research Collaboratives were tested by members of the Improvement Science Research Network (ISRN) during national, multi-site improvement research projects. Through this guide, you will be introduced to effective strategies for team formation, leadership, conflict management, and virtual collaboration. *Standard Shipping and Handling is available within the 48 contiguous states only (Saturday delivery is not available).